The Teachers Mastermind is an exceptional and intimate community of extraordinary people committed to developing themselves personally and professionally, and to giving back by contributing to their communities. The quality of your life is directly proportionate to the expectations of your peer group, and this is the ultimate peer group! This elite Mastermind of international yogis provides the unique opportunity to network with and learn from Happy Jack and other master teachers and leaders from around the world. THIS IS YOUR TIME.​ Are you ready? Membership to exclusive Certified HJY Teachers Mastermind. Access to private Facebook group, providing exclusive content to support you in building a meaningful, thriving and abundant yoga business. Invitation to bi-weekly video calls where Happy Jack and international guest leaders will empower you with strategic content and coaching to take your teaching and business to the next level. Access to all 21 Days To Ultimate Energy digital programs. Complimentary invitation to this program facilitated three times annually by HJY. This is an opportunity to immerse yourself back into the powerful practices to ensure a thriving lifestyle full of energy and passion. Invitation to the annual HJY Teachers Summit in one of the most spectacular destinations on earth – Tulum, Mexico. This exclusive event is an opportunity to learn, network and develop mastery in all key areas of your life. The Happy Jack Yoga YTT manual will be delivered to you electronically, giving you access to our cutting edge methodology and systems. Opportunities to represent yourself at festivals and conferences around the world, opening up possibilities that otherwise may not have been accessible. Opportunities to assist global HJY programs to deepen your leadership & facilitation skills. Receive an exclusive 10% discount on all HJY programs, ensuring that our Teachers Mastermind has access to the best pricing available. An exclusive referral opportunity. Refer someone new to a HJY program and receive an additional $100 USD discount on your tuition for any HJY program. Opportunities to be presented on our Teachers Spotlight across the HJY social media platforms, providing you with global brand awareness. 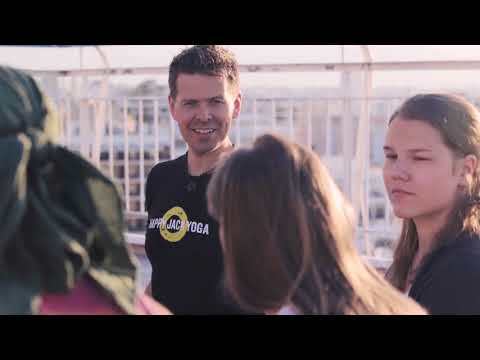 Link to your yoga business through the HJY website so that students in your area can discover and connect with you. Build a meaningful, thriving and abundant yoga business. Elevate your business to the next level through strategic yoga business marketing. Develop into a masterful and influential facilitator. Grow your community in order to impact lives on a greater scale. Gain exposure to global brand awareness opportunities. Provide and receive coaching from an exceptional peer group of colleagues to support you in fulfilling on your mission. Learn world-class strategies to host successful retreats and workshops. Receive coaching to master your bio, website, and marketing materials. Email jack@happyjackyoga.com for more information. Happy Jack Yoga System - Unleash Your Inner Rockstar! The greatest achievements of my life are a direct result of my participation in a Mastermind peer group, and I am honoured to extend this Mastermind opportunity to you as a member of our Happy Jack Yoga community. You are among the elite yogis who have immersed yourself into our transformational environment, and through this Mastermind community your breakthroughs will continue. As we look back at the 100+ graduates of our programs representing a dozen countries around the world, we are extremely proud of what they have created and the contributions they are having to the lives of others. Our mission is to positively influence the lives of a billion beautiful souls within a decade, and in support of this vision we are committed to empowering our Teachers Mastermind in developing mastery in their teaching, leadership and impact. Your X-Factor is what differentiates you as a teacher, such that you can stand out in a profound way. As a member of this Mastermind, you will continuously refine your X-factor and elevate all aspects of your teaching and your life. If you are committed to raising your standards for yourself and your peers, then this program is for you. The value within this Mastermind is simply priceless, and I am honoured to invite you to join us. To apply, click the button below now!